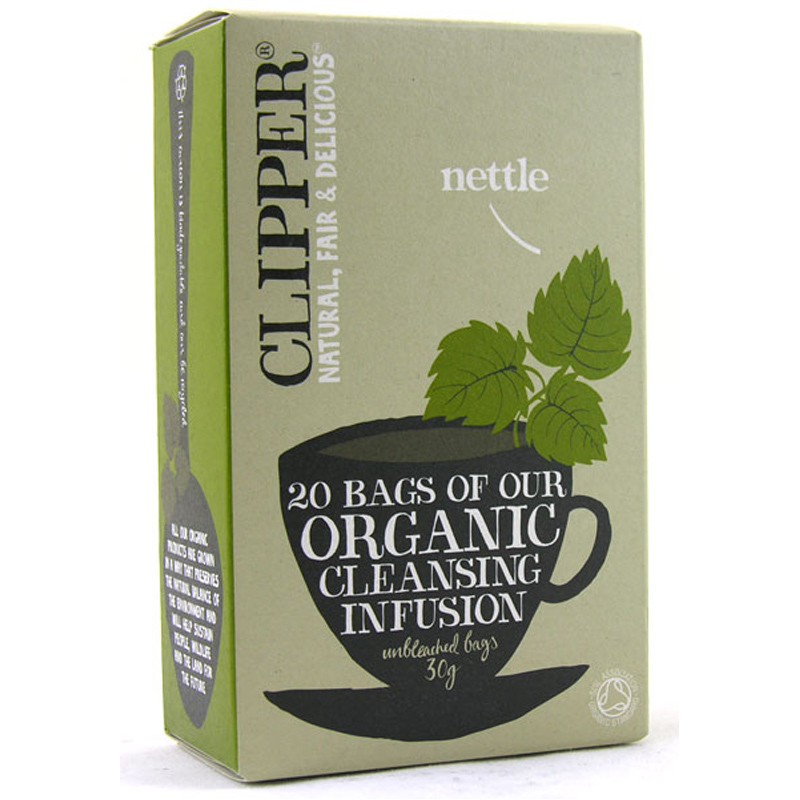 A herbal infusion of young nettle leaves with a clean, fresh flavour. Naturally caffeine free. 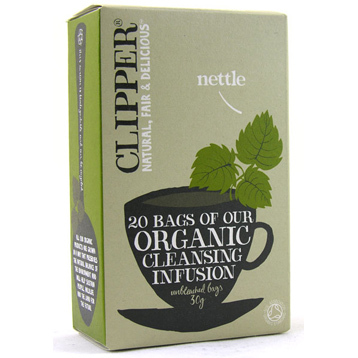 Clipper Organic Nettle herbal tea is produced exclusively from the tender young leaves of organically grown Nettles. 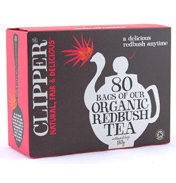 It has a fresh, lively taste, with a bright, grassy colour and distinctive fresh aroma. Traditionally, they have been used for centuries both as a food and to purify, cleanse and restore. 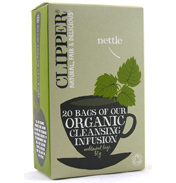 For the perfect nettle infusion, infuse 1 teabag per person for 2 - 5 minutes in freshly boiled water.